The first two knobs allow you to control how many players should be playing this instrument (from one to ten) and which mode they should be playing in (polyphonic, monophonic, or legato). These knobs, as well as virtually every other parameter in the MOJO interface, can be controlled via MIDI, so these knobs can be programmed and adjusted on the fly. Using these features, it’s easy to sequence a stacked trumpet section, then switch to a solo trumpet, then return to the section, all within one MIDI track or performance. Swells and crescendos are programmed to sync to the tempo of the host sequencer. 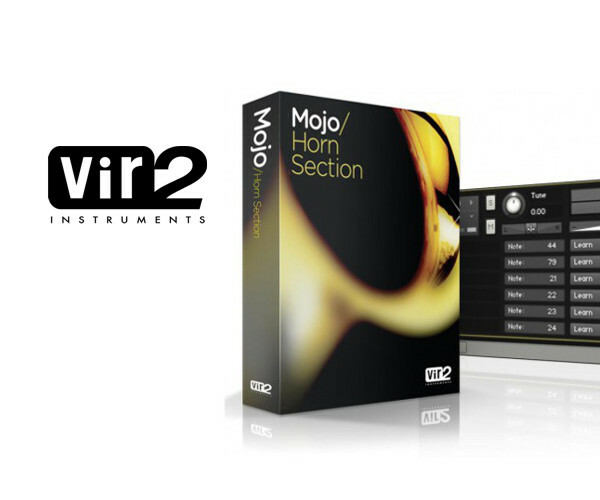 Using MOJO’s advanced automatic timestretching, you can configure MOJO to play swells and crescendos that are the exact number of beats you want, from 1 beat to 18 beats. MOJO will also follow a changing tempo, so if the tempo changes in the middle of the song, swells and crescendos will adjust automatically.